COMRADE G Veeraiyan, a senior leader of CPI(M) in Tamil Nadu and a leading light of the peasant movement in the state for the last 60 years breathed his last in the early hours on November 18 at Sithadi village near Kudavasal of Thiruvarur district after a brief illness. He was 86. Born into a share-cropping peasant family in 1932, Comrade GV studied up to fourth standard. While engaging in farming activities, he became interested in social issues through his readings and was subsequently attracted to the Communist movement. He started the Party work when severe repression was unleashed upon it. He was one of the members of the Co-ordination Committee to form the CPI(M) in Tamil Nadu. Since then he was holding various positions in the erstwhile Thanjavur district, in the Party state committee, state secretariat besides looking after the peasant movement in Tamil Nadu. He was also a member of the CKC of the All India Kisan Sabha and functioned as the general secretary of Tamil Nadu Kisan Sabha for a very long time. He was twice elected to Tamil Nadu Legislative Assembly from Nagapattinam constituency and worked for the welfare of the peasants and agricultural workers. 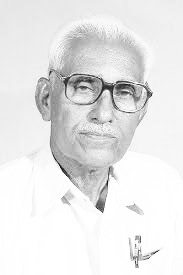 As secretary of the erstwhile Thanjavur district of the Party, Comrade GV was one of the leaders who mobilised the peasantry, facing severe state repression during the Keezhvenmani Massacre, (in which 44 people belonging to dalit families were burnt alive on December 25, 1968) and was instrumental in building a Martyrs Memorial at that place. Keezhvenmani has lost one of its champions on the occasion of its 50th anniversary. The Tamil Nadu state committee of the CPI(M) and all the Party units have paid rich tributes to the departed stalwart of the Left movement in the state. CPI(M) general secretary Sitaram Yechury, Polit Bureau member Prakash Karat, have sent messages to the Tamil Nadu state committee expressing their condolences over the passing away of Comrade G Veeraiyan. Veteran leader of the Party in the state, N Sankaraiah, TK Rangarajan, MP have also sent their condolences to the family members of Com GV. Party state secretary K Balakrishnan, Polit Bureau member G Ramakrishnan, Central Committee member P Sampath, special invitee to the Central Committee, K Varadharajan, and other senior leaders from various districts and fraternal organisations rushed to Sithadi village and paid their tributes. On November 19, his last rites were held amidst slogans of Red Salute to Com GV.